Purchase Artificial Grass in the West Valley of Phoenix, AZ. Celebrity Greens of the West Valley is your authorized dealer and installer of premium artificial grass products throughout Phoenix’s West side and the entire West Valley, including Glendale, Avondale, Buckeye, El Mirage, Goodyear, Litchfield Park, Peoria, Surprise, Tolleson, Youngtown, Sun City, Sun City West, Waddell, and the surrounding areas. Let our professional team of landscape experts help you design you an artificial grass solution, perfect for our desert climate. Celebrity Greens of the West Valley is the Authorized Partner and Designer and Installer of Artificial Grass, Artificial Turf and Artificial Putting Greens for the entire West Valley of the Phoenix metropolitan area. We are proven leaders in the Phoenix landscaping market and have years of experience! Celebrity Greens of the West Valley only installs Artificial Grass products that are environmental-friendly. 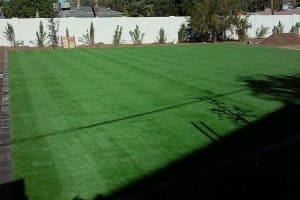 We’ve installed thousands of acres of turf with satisfied customers across the state, and we have the training and experience that you are looking for. The time is now to go green! We believe in saving our water one lawn at a time, especially in our desert climate. With more and more homeowners wanting to limit their water requirements, and potential state-mandated water restrictions, the perfect solution is to consider Artificial Turf for your home or business! Our artificial grass installations will save the average property owners a massive amount of water a year. 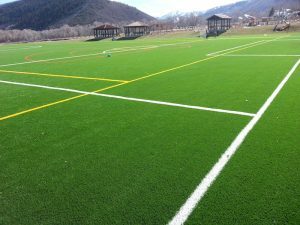 We are partnered with the best manufacturer and international leaders in the artificial grass lawns and synthetic turf sports fields industries. Our exclusive relationship allows us to offer you the varieties of synthetic grass products that meet the highest standard in artificial turf manufacture, longevity and durability – Our customers have peace of mind and a beautiful yard or putting green. Contact us today and let us work with you to design your dream golf green, sports field, or replace your existing lawn with an Artificial Turf Lawn. If you are interested in a Playground, Play Area or Sports surface, we can do that too! Celebrity Greens of the West Valley also offers complete sports field design and installation, and we are proud to offer products that require very low-maintenance while remaining lush and green through every season.